saskmom.com: thomas & friends are coming to town! thomas & friends are coming to town! Thomas & Friends will be available for a play date at Toys R Us on Saturday, Sept. 18, from 11 a.m. to 1 p.m. There will be storytelling, Thomas trivia, Thomas coloring pages, giveaways and more for kids to enjoy. Little J is gaga over choo-choos. So, he was thrilled when we took him to the Toons for Toddlers' Thomas & Friends Misty Island Rescue movie at Rainbow Cinema on Sept. 11. 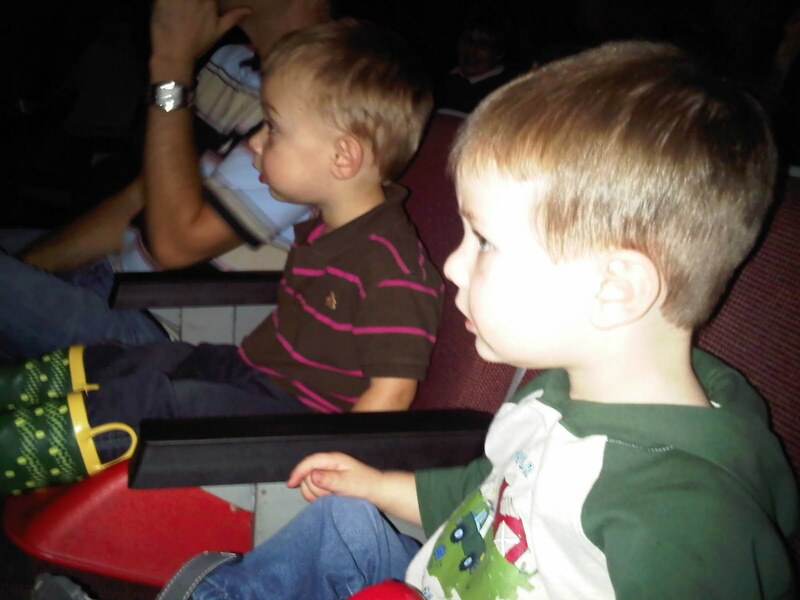 He brought a little friend, and the two of them were super-cute sitting on their booster chairs watching the movie . . . for at least the first 30 minutes!